Behind the French Menu: Dining in Nice on 'La Côte d'Azur'. The Cuisine of Nice, Cuisine Niçoise. Nice and the Comté de Nice, the area around the city, was part of Italy until 1860, and quite a bit of Italian influence remains. To that add Nice's unique mixture of cultures, languages, and cuisines; that include traditional Provençal specialties and, Nice's own Niçoise Cuisine, its Cuisine Nissarde and language. N.B. 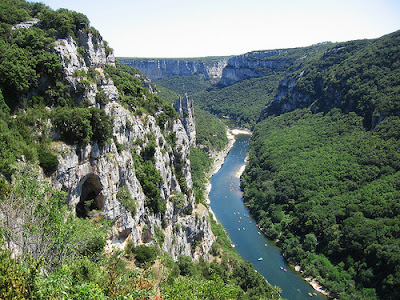 Even if your French is excellent, you will not understand the locals' private conversations as they will often be speaking Nice’s Provençal dialect called Nissarde or Nicoise Provencal. 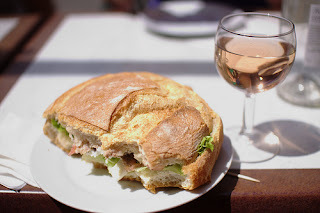 You will find excellent restaurants in Nice serving the very best of French cuisine, but if you want to taste the traditional cuisine of Nice, look for restaurants serving Cuisine Nissarde. 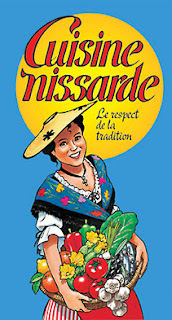 The restaurants that show this "Cuisine Nissarde" symbol offer at least three authentic Niçoise/Nissarde dishes. Ravioli à la Niçoise – Raviolis stuffed with chopped meat from a daube de bœuf. A daube is traditional Provencal beef stew prepared with red wine. The daube stuffing in the ravioli will, in season, include Swiss chard. The sauce for this ravioli dish was traditionally the gravy from the daube, but, today, some changes may be offered, and they will be available with grated Parmesan or Gruyere cheese. Spaghettis à la Niçoise - Spaghetti in the manner of Nice. 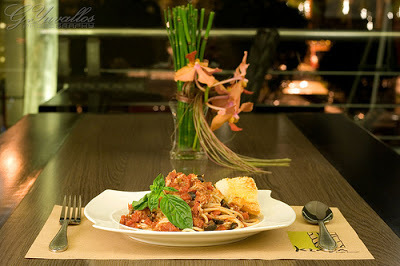 This spaghetti dish has a sauce made with tomatoes, Nice’s AOC black olives, sweet red peppers, anchovies, garlic, herbs, and, of course, flavored just before serving with Nice's own AOC olive oil the Huile d'Olive de Nice AOC. Filet de Dorade à la Niçoise - A filet of gilthead sea bream baked, in the oven with tomatoes, the Niçoise AOC olive, green peppers, and onions. Salade Niçoise - When in Nice you are never allowed to forget that this is the home of Salade Niçoise, probably France’s most famous salad. With few exceptions, most chefs from Nice agree that the recipe will include canned tuna or anchovies, but not both. 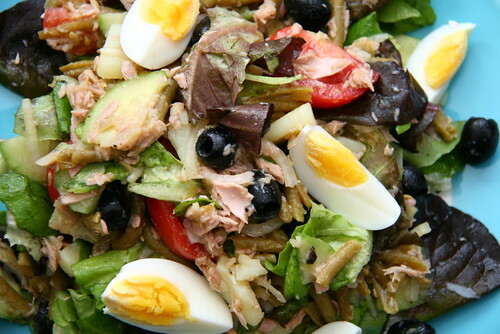 To the tuna or anchovies will be added tomatoes, the black Niçoise AOC olives, fava beans, cooked baby artichokes, sweet peppers, herbs, especially basil, and a vinaigrette dressing with the oil from Nice’s own AOC /AOP olive oil the, Huile d'Olive de Nice and red wine vinegar. 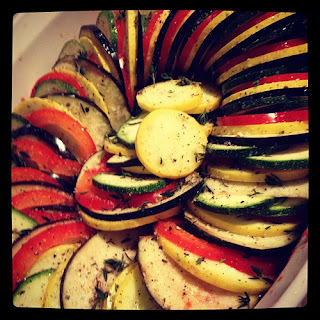 Ratatouille – The classic recipe is eggplants, (aubergines in the UK), zucchinis, (courgettes in the UK), onions, tomatoes, sweet peppers, garlic, herbs, and olive oil. To those ingredients, chefs may add, mushrooms, lardons which are fried or lardons, smoked bacon bits, and occasionally eggs. Some of the vegetables will vary with the seasons, and quite a number of chefs present their Ratatouille with Gruyère cheese browned on top or grated and placed on the side for the diner to add to his or her taste. Photograph courtesy of Tom Dixon. 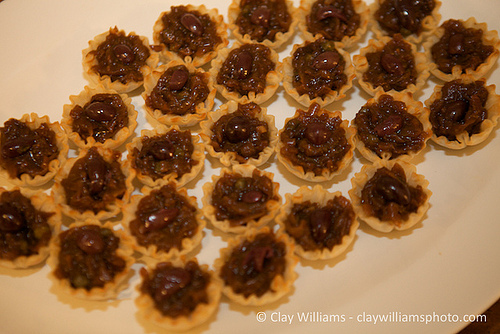 Pissaladiere Nicoise - Caramelized onions, olives, garlic, and anchovies served on a bread dough. 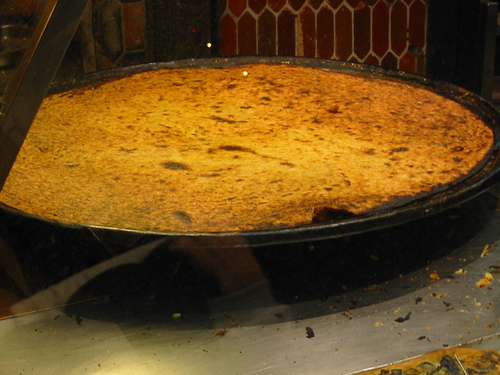 The Pissaladiere is now often served as an entrée (the French first course) in restaurants while traditionally it was a street food. Socca or Socca Niçoise - A hot and crispy chickpea pancake made with farine de pois chiche, chickpea flour. It is the quintessential street food of Nice, baked over hot coals on steel platters and best eaten when still hot. Farcis Nicoise - Stuffed vegetables in the manner or Nice. Tomatoes, eggplant,(UK aubergine) and zucchini, (UK courgette), onions, and, in season, the fleur de courgette, the zucchini flower which is a staple of Cuisine Nissarde. The vegetables are stuffed with ground meat, ham, mushrooms, bread crumbs, and flavored with and herbs. They are baked and may be served hot or cold. Panisses or Panisses Frit – Originally a Nice fast food that would be bought hot and eaten on the go. Now panisses have gone mainstream and will be on restaurant menus. Panisses are made with farine de pois chiche, chickpea flour, in a variety of shapes and deep fried. They were traditionally served on their own with salt, but now today an optional addition of grated Parmesan or Gruyere cheese may be added. In a restaurant, a Panisse may be used as a garnish or served with a salad. Pan Bagnat - A Nicoise sandwich made from a split round roll soaked in olive oil, and filled with sweet peppers, black Nice olives, onions, anchovies, tomatoes, hard-boiled eggs, and flavored with garlic and basil. (Pan bagnat is Italian in origin). There are many excellent restaurants along the Nice promenade and many more inside the town. If you have the time and a car, then there are many more restaurants in the hills behind the town; however, from experience, to avoid shocks, always check the prices in Nice restaurants before sitting down. With so many good restaurants and the Mediterranean Sea to entice you it is not surprising that, after Paris, Nice is the second most visited city, by tourists, in France. Nice and the 'La Côte d'Azur'. 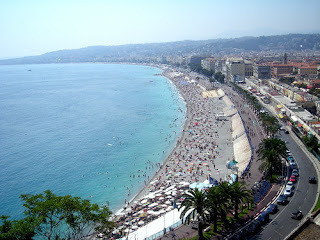 Nice, more than any other city or town along the Mediterranean made the South of France famous. It was here that the French Poet Stephen Liégeard (1830 - 1925) gave the whole Mediterranean coast the name to his book 'La Côte d'Azur' in 1887. In the 1860's the first English tourists arrived, and they fell in love with Nice's cuisine and weather and, unknowingly, founded the local tourism industry. 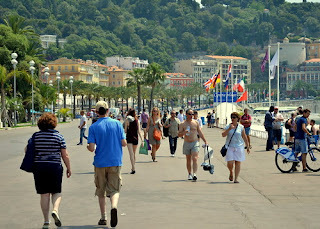 Part of the Promenade des Anglais. The English tourists would walk up and down the seafront, and that parade where they could see and be seen that street would become the Promenade des Anglais, the English Promenade. Then from three words, 'La Côte d'Azur,' the whole of the Mediterranean coast got a considerable boost. From that magical name, "the blue coast," the poet Stephen Liégeard created a whole new industry that welcomed the millions of tourists who came to see. Stephen Liégeard got a street or rather an avenue, in Nice, named after him for that. A view of the Beach from the Promenade des Anglais. The Carnaval de Nice made its first public show in 1876 and has grown in extravagance ever since. 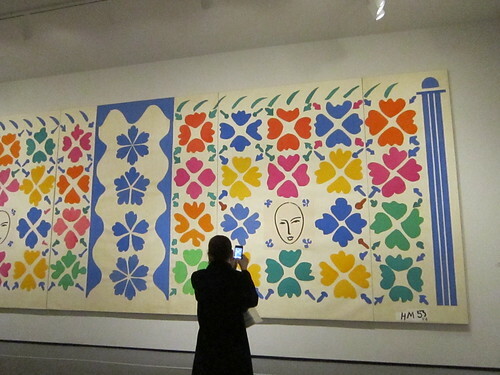 The celebrations are repeated nearly every day over a two-week period, mostly in February; the central attraction of the Carnaval de Nice, is the Bataille de Fleurs, the battle of the flowers. You may reserve a seat to watch by ordering online. There is much to keep you occupied outside of the restaurants and beaches along with celebrations on all French National Holidays. 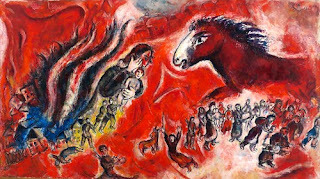 Nice has many museums, and below I have noted just two, there are many more. 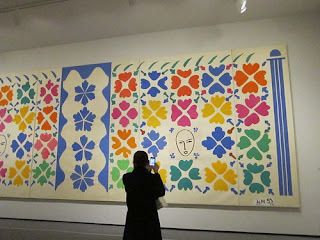 However, this post is part of Behind the French Menu and with too much time spent in museums, the food will get cold. Copyright 2010, 2013, 2016. 2019. Behind the French Menu’s links include hundreds of words, names, and phrases that are seen on French menus. There are over 400 articles that include over 3,000 French dishes with English translations and explanations. Add the word, words or phrase that you are searching for to the words "Behind the French Menu" and search with Google or Bing. Anchois - Anchovies, the Fish. Anchovies on the Menu in France. Daube – A Traditional Provencal Stew. Now on Menus all Over France. Farine - Flour. The flour in your French bread, crepes, and other delights. 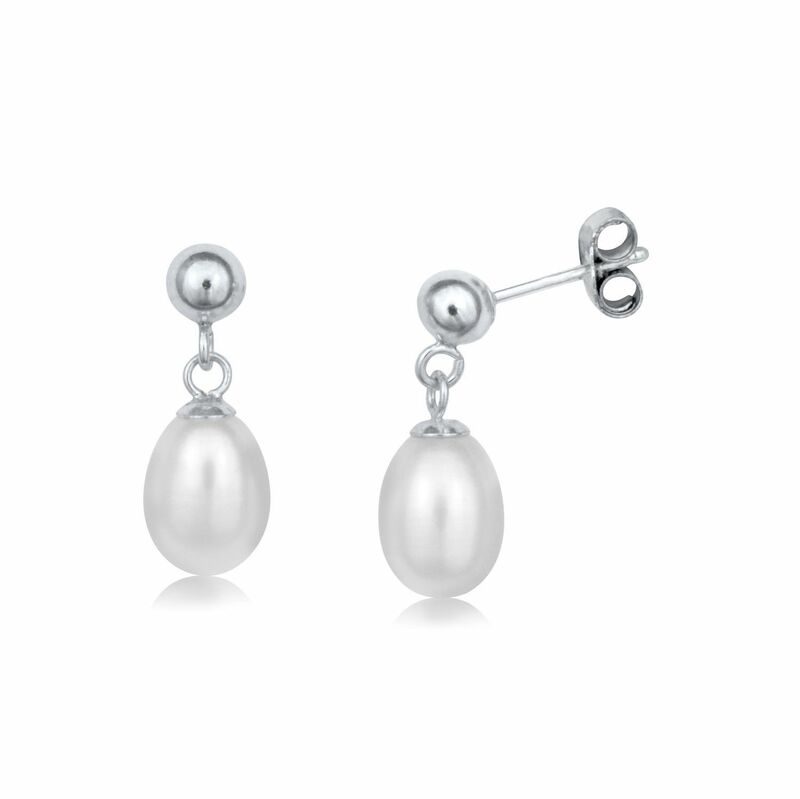 French National Holidays, their Jours Fériés, and More. A Short Guide. Haricot, Feve or Coco - Beans. Beans in French Cuisine.